that’s T is for Traveler! 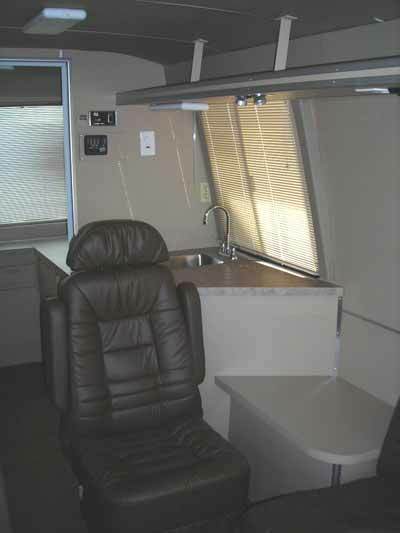 This coach is not a “live in” motorhome, it was designed for David from Abilene. An interior renovation only at this time it still deserves a page and a looksee for you. David brought this coach in from Abilene running great but in only decent interior condition. “We’re taking a trip with some friends and we need to seat 8 people comfortably, travel all day but sleep in hotels– can you make this 23′ coach do that? 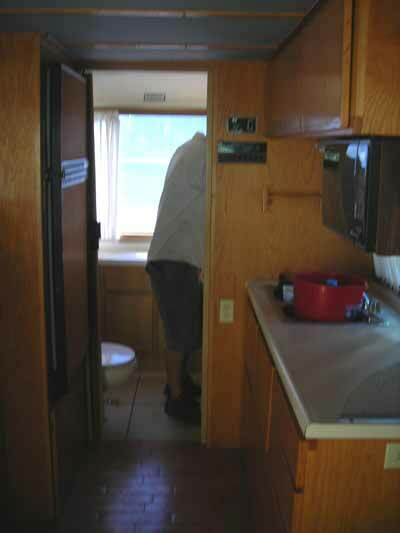 We want to have in motion satellite, a DVD player, XM radio, a potty so we don’t have to stop, a frig to keep everyones drink cold, a place for our expresso machine and a microwave for popcorn– thats all– so can that be done? We need this coach by the end of the month and we want it in taupe and dark brown– can you do it?